They're spinning this latest episode by saying she 'overheated'. There is a quote by a former CIA agent in 1 paper that Clinton was 'full of energy' at the event. Yep, that's why she needed 4 people to help her get into a car as she was basically collapsing. They're now saying it's pneumonia. So a 68 year old woman who has already been diagnosed with a potentially fatal disease, then collapses, is taken to her daughters apartment instead of a hospital. Totally believable. "This is the way her campaign ends...."
Coughing, I wrote, is simply not evidence enough of any sort of major illness that Clinton is assumed to be hiding. Neither, of course, is feeling "overheated." But those two things happening within six days of each other to a candidate who is 68 years old makes talk of Clinton's health no longer just the stuff of conspiracy theorists*. Hillary was more foolish than Romney, because she made her dumb comment in front of the cameras. Hillary Clinton's wobbly, stumbling exit from Sunday's September 11 commemoration set off a flurry of questions and concerns about the Democratic presidential nominee's health. With less than sixty days until the election, neither Clinton nor Donald Trump has allowed for what's known as a "protective pool," a rotating group of reporters that travel with a candidate in order to provide a minute-to-minute account of their activities. Without a protective pool, Clinton was able to leave the memorial site without reporters, travel to her daughter Chelsea Clinton's apartment without reporters, and leave New York City for her home in Chappaqua, New York, without reporters. That left Clinton's press pool scrambling to follow her around Manhattan and up to Chappaqua, always a step behind. 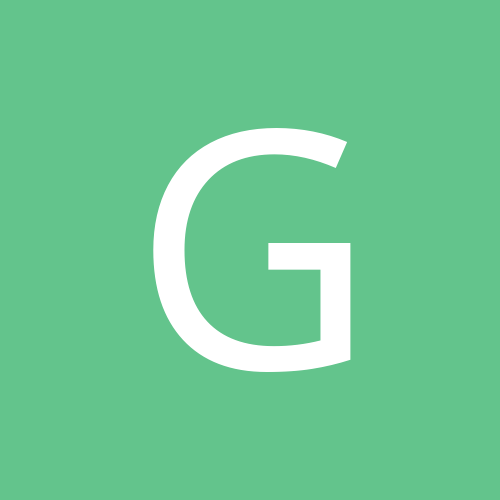 "Sunday's events at the Sept. 11 memorial show the importance of having a group of reporters on standby, and close at hand, to cover the potential next president of the United States," Anne Gearan, the Washington Post political reporter and current chair of the Clinton press pool, told CNNMoney. How can anyone with a conscience elect her to be President for 4 years regardless of their politics. She is clearly not up to it. I don't think she is physically fit to lead herself let alone the United States of America and the free world . How can her family allow her to continue this charade for her own sake whatever you think of her it's not a nice spectacle and it's patronising the public to keep pretending nothing is wrong. Oh ok... it's just pneumonia..
Hillary Clinton FAINTS at 9/11 Memorial Today in New York - What We Know & What We've Known! All of you have made me so happy that you actually saw through Hillarys game and jumped to Trump!! Thank you for taking the time to actually listen to him so that you might see WHY the left and some of the right are against him. The establishment doesnt want him in there for a reason. Because their con game will end. Getting rich off of us will end. Globalism will end. And people will be investigated and tried for treason. "Pneumonia" = another Clinton Lie ? Liar, Liar, pantsuit on Fire! Hillary Clinton won't have time for a sick leave. The Democratic presidential nominee was scheduled to embark Monday on a three-day campaign trip to California, including an election assembly, numerous meetings and a tight and demanding schedule, but was forced to cancel it. On Sunday night it was revealed that Clinton had known she had pneumonia since Friday and hid it from the public. Her doctor's statement after the event is politically too little too late. Analysis: If Hillary Clinton remains in the presidential race, she will no longer be able to shake off the growing interest in her health, particularly the medications she has been taking and their affect on the possible future commander-in-chief of the US Armed Forces. If she decides to drop out, all options are on the table as to who will replace her as the Democratic nominee. Clinton suffered a coughing attack last week during an appearance in Cleveland, which she dismissed as seasonal allergies. She received her pneumonia diagnosis on Friday, but the public was not told about it until hours after the incident at the memorial, raising questions about whether Clinton had any plans to ever inform the public. Between the diagnosis and the near-collapse, Clinton appeared at two fundraisers, ran a national security meeting, and held a press conference. Presidents and presidential candidates have traditionally traveled with a small, rotating group of journalists so the American public can get real-time updates about unexpected incidents — exactly like the one on Sunday. But Clinton left her press pool behind at the Sept. 11 event and kept them in the dark for 90 minutes before providing any information on her whereabouts or health. Clinton has yet to agree to full "protective pool" coverage, which would allow reporters to follow her door-to-door. Will she now? Clinton's health scare is already expected to potentially affect financial markets, but the impact would be far more dramatic if she were president. A 90-minute window with no news about a missing president could lead people to assume the worst. Clinton's, or her campaign's, choice to leave the press pool behind broke with precedent on access — will that change if she's in the White House? Meanwhile, because Clinton has so far not agreed to full coverage, reporters have no way of knowing if she made other stops Sunday. It's getting surreal now, surely she can't get away with many more of these 'episodes' and if she has 1 at the debates surely that's game over? Trump only needs a relatively small % swing and with this and the next Wikileaks info just around the corner they've got to be worried about her winning. There are rumours that the DNC is going to hold an emergency meeting to consider replacing her but as far as I can see it's all based off of 1 reporters Twitter update. So not sure how legit this is. They've got to be at least thinking about it though. "There are rumours that the DNC is going to hold an emergency meeting to consider replacing her but as far as I can see it's all based off of 1 reporters Twitter update. So not sure how legit this is. They've got to be at least thinking about it though." and now they have a more real problem within their own party. 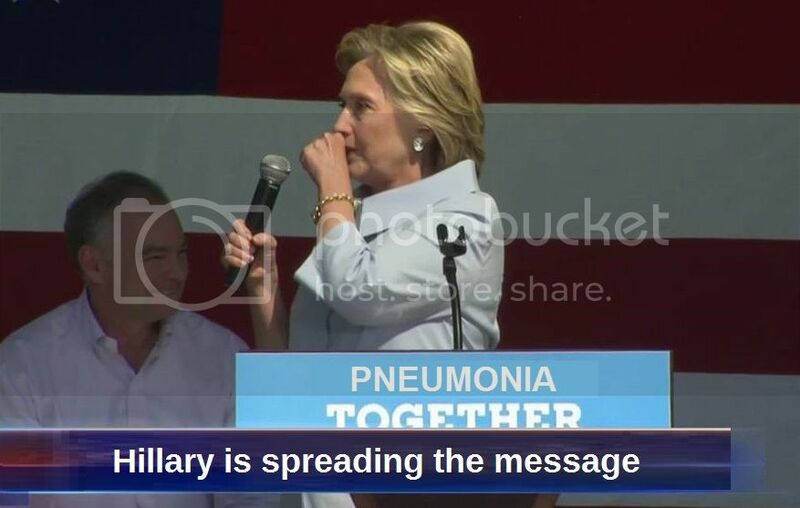 I dont think she has pneumonia, but if she did, how many would she have infected by now? LYING AGAIN - This is not Pneumonia ! New angle of Hillary Clinton collapsing, plus something falls out of her pant leg? 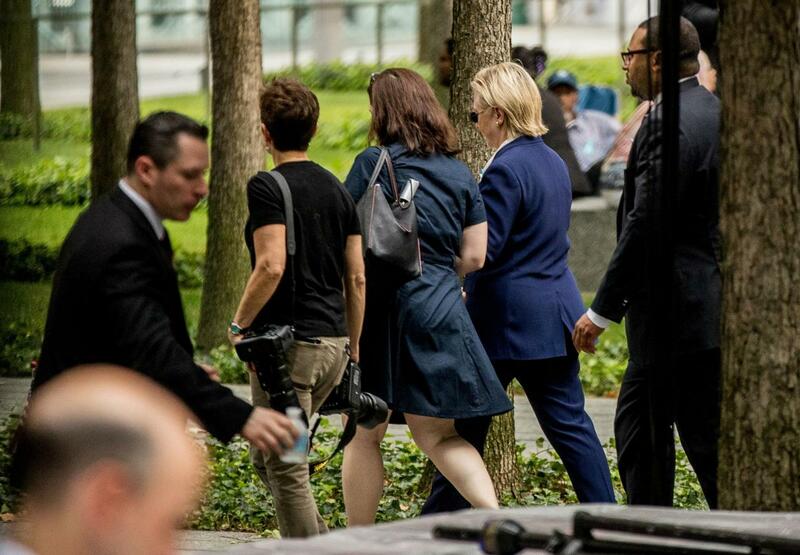 10 hours ago - Conspiracy theorists said Teresa Barnwell stepped out of Chelsea's apartment after the real candidate fell sick at the 9/11 memorial. From last friday (?) : has anyone seen Hillary look WORSE than she does in this first clip? Hillary's campaign are in damage limitation mode, trying to claim that her 'pneumonia' is 'non-contagious bacterial pneumonia'. Obviously an attempt to make her hugging of the young girl not look dangerous. If it exists —even if only in the mind of a bureaucrat— there's an ICD-10 code for it. But no code for "non-contagious bacterial pneumonia." 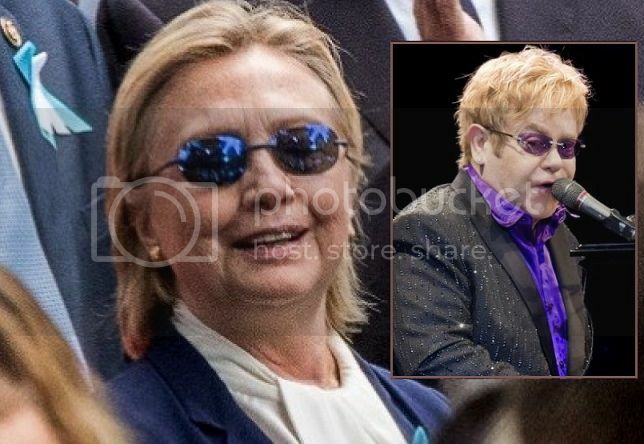 There are ICD-10 codes for… Bitten by cow Hurt at opera Burned by water skis on fire But not… "Non-contagious bacterial pneumonia"
About her "Extraordinary capacity for white wine"
"Hillary always wants to be the victim"